Minecraft: How to copy a build from SinglePlayer to my server? Hi, I have been trying to look everywhere for an answer but couldn't find it. I have a Castle in a single player world I made and I think it would be a great spawn for my server. How would I copy JUST the castle from the SP World and paste it in my server. If you know please give me instructions on how to do this. 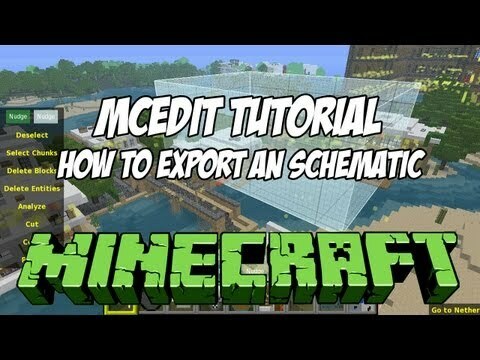 If it has something to do with WorldEdit I am not a complete noob at it but would I need to download WorldEdit the mod and have the plugin and how would transferring the files work and everything. If it is anything like that please if you can leave detailed instructions. Thank you!!! Best Answer: Just use MCEdit. Load your SP world. Select the area you want to bring to the MP world. Adjust the selection's height if needed. Export the schematic. Load your MP world. Import the schematic of the castle you just copied and paste it wherever you want. It's just like copying and pasting part of an image with a 3-D version of Microsoft Paint. Minecraft - Converting a Multiplayer Map to SINGLEplayer? Is their a program to get a piece of minecraft singleplayer and paste it to Mulitplayer? Flying in my Minecraft Server won't work? PLEASE HELP? How do you convert a singleplayer map on Minecraft to a multiplayer one? So I just built a game on roblox studio and wanted to test it. But when I test it all I see is the baseplate. How do I fix this? Which Clash of Clans base of mine is Stronger. ?